To ensure that your marine battery will hold up on your outing, most professional boaters recommend having a marine battery tester with you at all times. 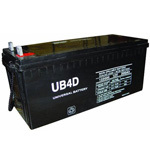 It is one of the best and most effective ways to ensure your battery is running at peak performance at all times, so that you do not get stuck out on the water without a functioning battery. 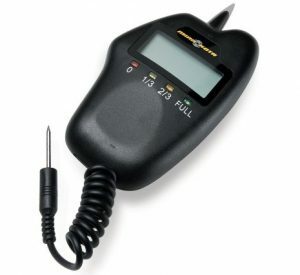 A battery tester, simply, is a device that is designed to test batteries. 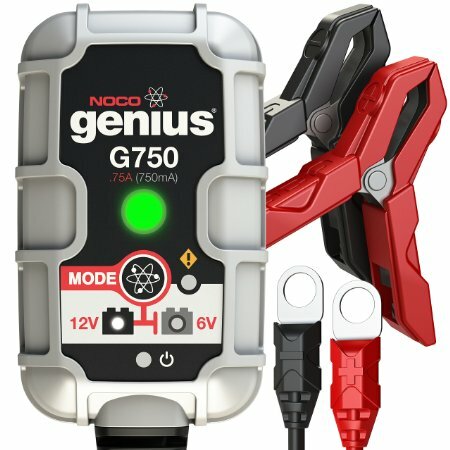 You may have a car battery tester or a boat battery tester.. Some testers are even able to do load testing. It is always a good idea to test a battery to ensure that it is properly charged before you venture out onto the water. A marine battery gauge and tester can help to ensure you are not stranded. A tester can help you by telling you how much of a charge is on the battery and perhaps tell you if there are any potential issues. Many question whether there is any real difference between a marine tester and a standard automotive tester. In most cases, a tester will work equally well when checking the marine battery voltage and car voltage. The biggest mistake is you want to avoid using an AC tester, because they are designed to test voltage for household or 120 voltage electrical items. Your car and your boat both need DC testers. Typically, you have a choice between a battery meter and a load tester. However, there are some testers that offer a variety of fuctions. 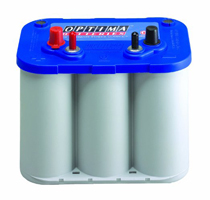 A battery meter will tell you when you need to consider charging a marine battery. Load testers are able to tell you how much of a load it is able to handle at that given time, which could be useful in helping you determine if you need to consider getting a backup battery to assist in running all of your boat’s electronics. When testing marine batteries, it is important that it be easy to read. This battery meter makes it easier thanks to its all digital display. The digital display indicates whether the battery has 0% charge, 1/3, 2/3, and full are included as well. It is also very small so that it can fit almost anywhere in your boat. This is one of the most popular batter meters on the market. 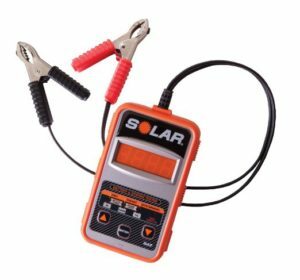 This marine battery load tester works with a 100amp load test, which is great for 12 volt batteries. Six volt batteries can also use this at a 50amp load test setting as long as either type has less than 1000 CCA. It is easy to read and easy to use. This charge tester can test a battery that is 12 volts as long as it is between 100-1200 CCA, regardless of whether they are AGM, Gel Cell, Conventional, Spiral Wound, or Deep Cycle. 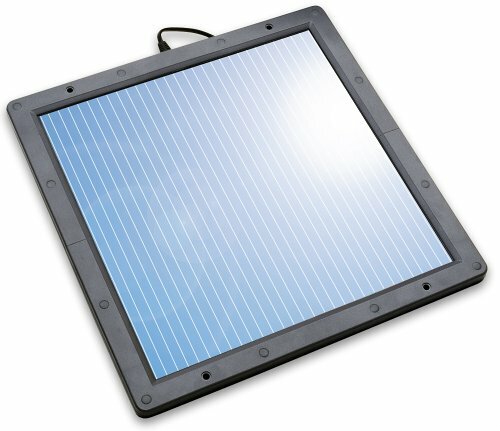 It has LED indicators for easy reading and it is easy to use.